Publicus poll for November 2017. Overall, Fidesz expanded its support in November by 1%, as did the Democratic Coalition. Meanwhile MSZP lost 1%, while Jobbik and LMP both remain unchanged. A total of 39% of respondents added that they believe the opposition should field an independent candidate for prime minister, who is not attached to any political party and comes with relevant professional and civil society experience. Of all parties, it is voters from MSZP who are the most supportive of fielding an independent candidate for prime minister who is not a traditional politician (51%). But perhaps the most critical finding from the poll is this: 42% of Hungarian voters can see themselves supporting an independent candidate for prime minister fielded by the left. Of course, in the Hungarian parliamentary system, one does not vote directly for a prime minister, but rather for party lists and individual MPs. Yet this number shows a willingness among Hungarian voters to coalesce around the left, if it finds its voice and a candidate that it can rally around. The poll had another critical finding: 61% of respondents indicated that it was in Hungary’s national interest to have firm cooperation among left-wing and liberal parties. Fully 95% of MSZP voters would agree, as well as 65% of Jobbik voters and indeed 50% of Fidesz supporters too. Despite a fairly clear consensus that the splintered left-centre opposition must enter into a partnership for the sake of the nation, there is no indication that any such alliance (beyond very loose cooperation at the constituency level between MSZP and DK) will be established before national elections in April 2018. May be democracy is about to start to take root, by public consensus. The fact that 51% support the idea of an independent candidate for prime minister’s post, who is NOT a traditional politicians. That all sounds like Trump-ism is about to hit Hungary too. 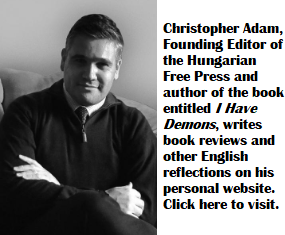 But in the previous article by Mr.Adam, the survey did show 61% support for Fidesz. Now it’s only 27%. The public is not opposed to any party on the bases ideology, just that every party must demonstrate of having some ability and platform to offer. Polls in Hungary calculate party standings in at least two cohorts: among all respondents and then among the smaller cohort of decided voters only. In this poll, 27% refers to all voters, whereas the 61% in the previous poll referred to Fidesz supporters among decided voters only. Are you to say that out of all the Fidesz supporters only 61% decided to vote for Fidesz ? Meaning that 29% of all Fidesz supporters have “decided” to vote some other candidate. That’s what it means as you stated in your response. If you poll 100 people on their voting intentions and 41% tell you that they are undecided or do not intend to vote, then you get one type of result. If you then remove the factor of undecided voters and only tabulate the poll’s results based on those who are decided, you get a different type of result. Those that give the answer as “undecided” are out of the picture. The question, normally given is; who would you vote for IF elections were held today. Everybody gives one name as their choice. The undecided are listed as “Undecided”, since never can tell who they may vote for when election day comes around. The system you described,as used there is kind of misleading. But I appreciate your answer.